Call in to see our stunning product range. Schedule a visit to our Perth showroom where you can see for yourself the quality, beauty and range of our kitchen and bathroom makeover products, including the finest quartz, recycled glass and granite kitchen worktops, glass mosaic tiles, splashbacks, hard flooring and various essential finishing touches.Seeing our products in person is the only way you can fully appreciate how they will spectacularly transform any kitchen or bathroom into a vivacious new space. You might even find some new design inspiration or ideas for product pairings and unique features. 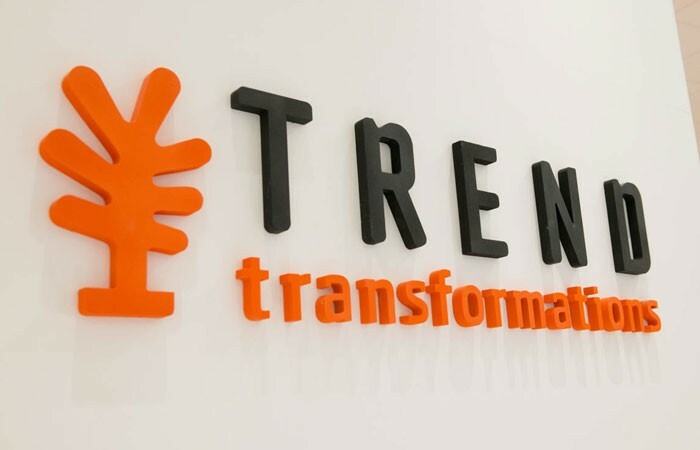 Our TREND Transformations Perth design consultants are on hand at our showroom to provide inspirational ideas, guide you through our product range and answer any questions you may have. As unrivalled kitchen and bathroom makeover experts, our consultants can offer new ideas on different materials and finishes that might suit your home, and open up for you the plethora of eye catching colours and finishes available. They will also give you a thorough understanding of our unique installation process, and show you just how quickly and easily your kitchen and bathroom makeover can happen.Any advice offered is done so with no obligation to buy, so call in at your convenience and take advantage of our knowledge and expertise.We’re easy to find at 9 High Street, Perth, at the river end opposite the new council buildings. Opening hours: Mon-Fri 9.00am-5.00pm, Sat 10.00am-5.00pm, Sun closed.If you’d prefer to have a consultant visit your home to discuss your kitchen and bathroom makeover ambitions, use the form to book in a free, no obligation home design visit. Call for a free home consultation 01738 658 264 or email us your request.